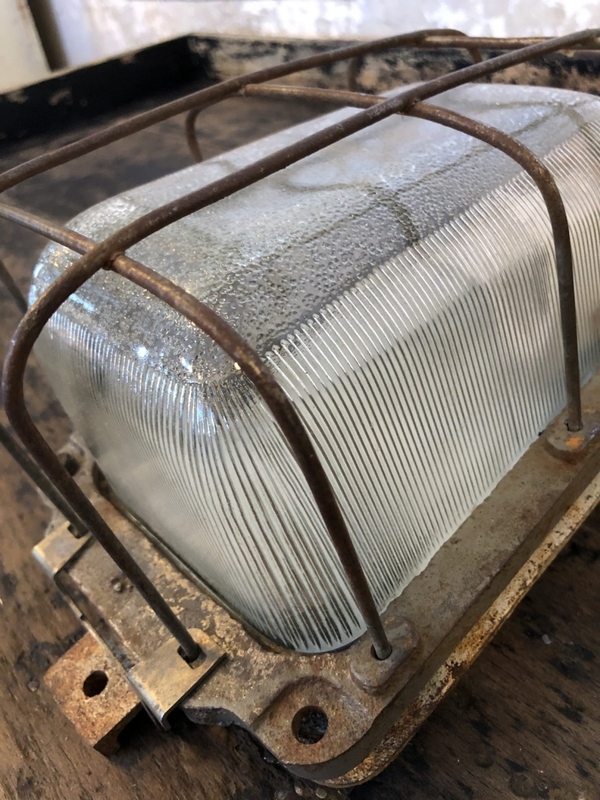 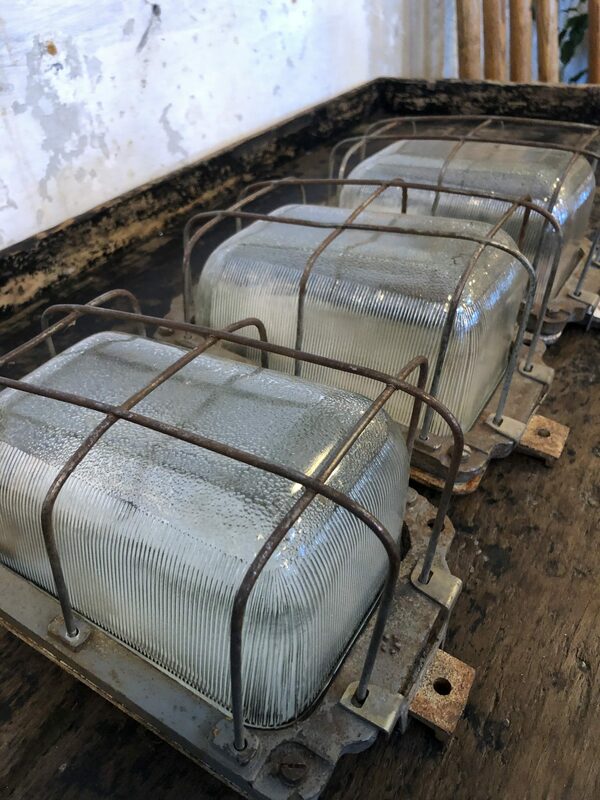 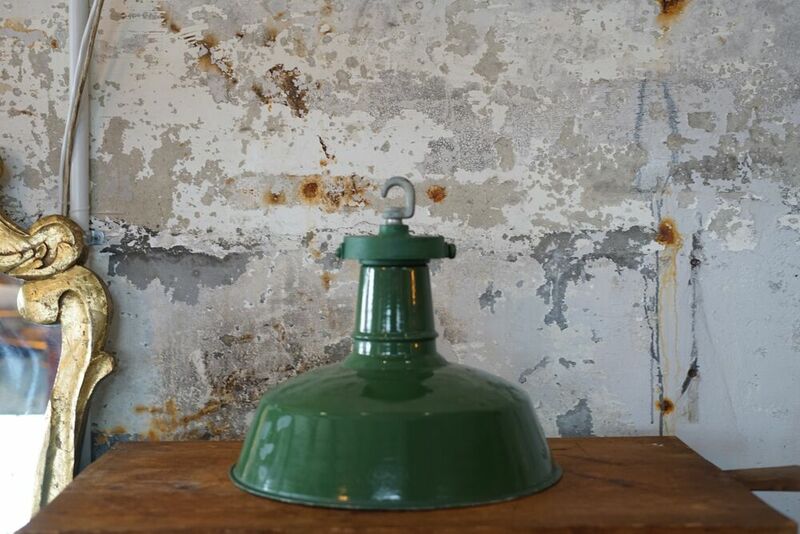 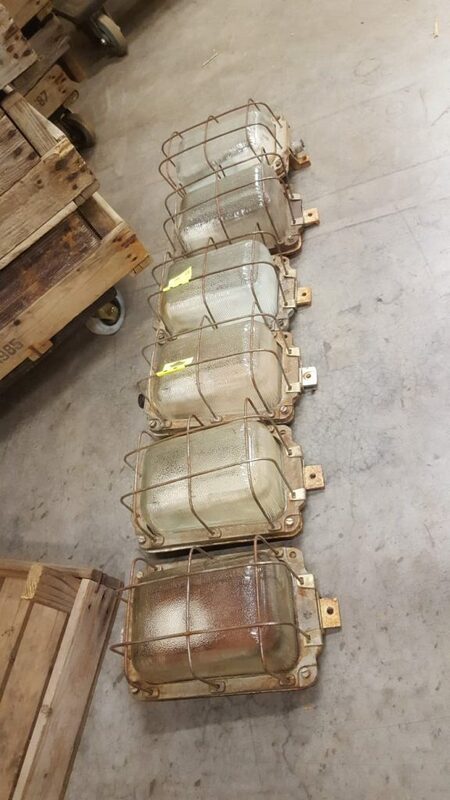 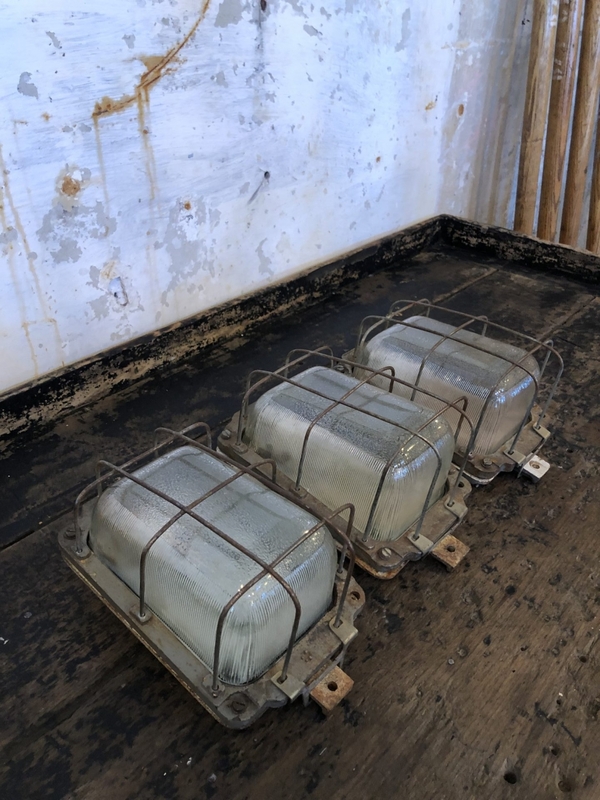 1960’s explosion proof bulkhead lights salvaged from Eastern Berlin. 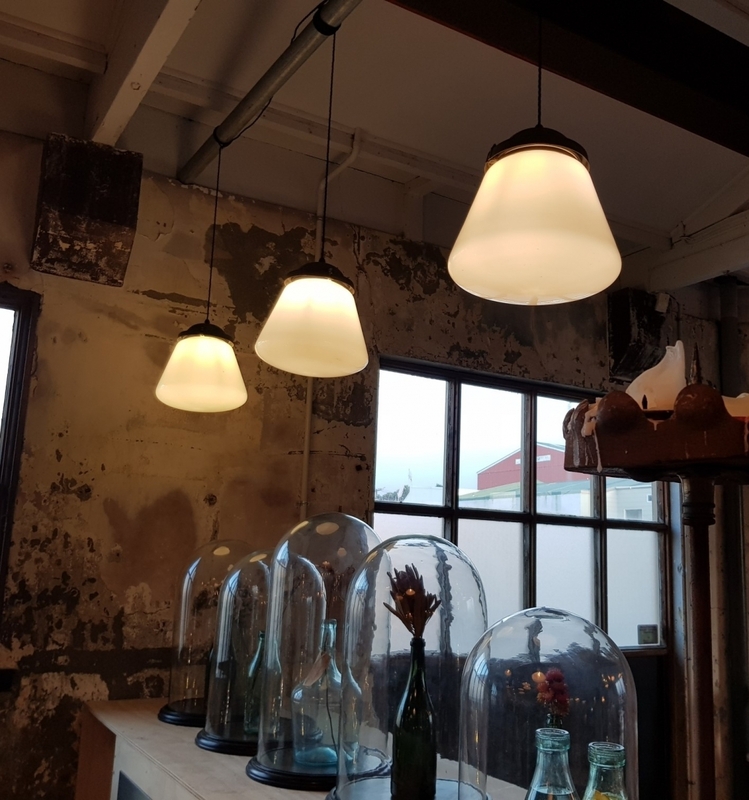 Steel body, re-fitted porcelain NZ compliant ES lampholder, heavy explosion-proof glass. 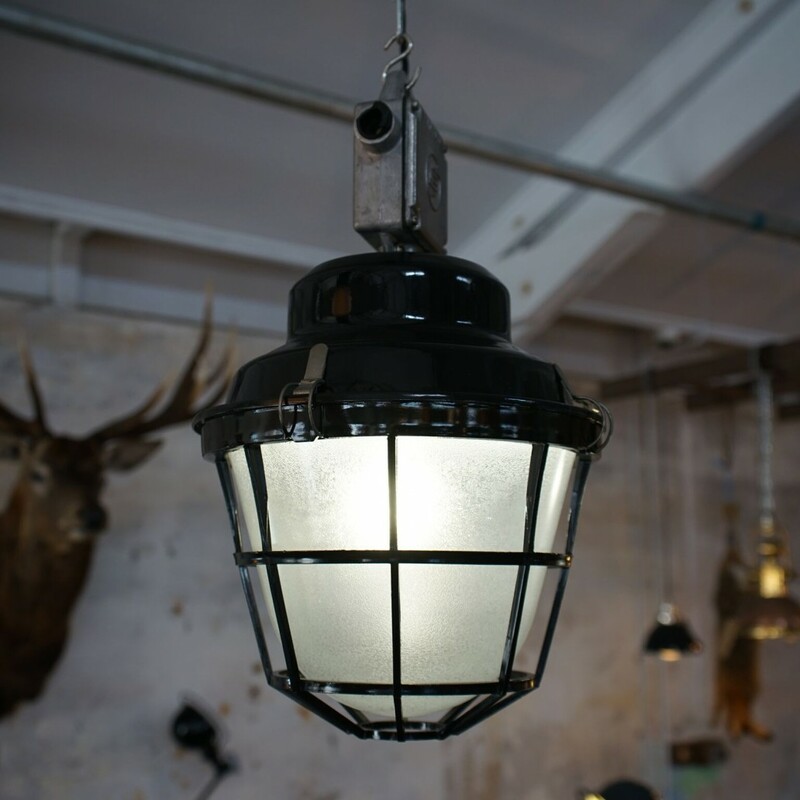 Angle mounted bulkhead light for exterior or interior use. 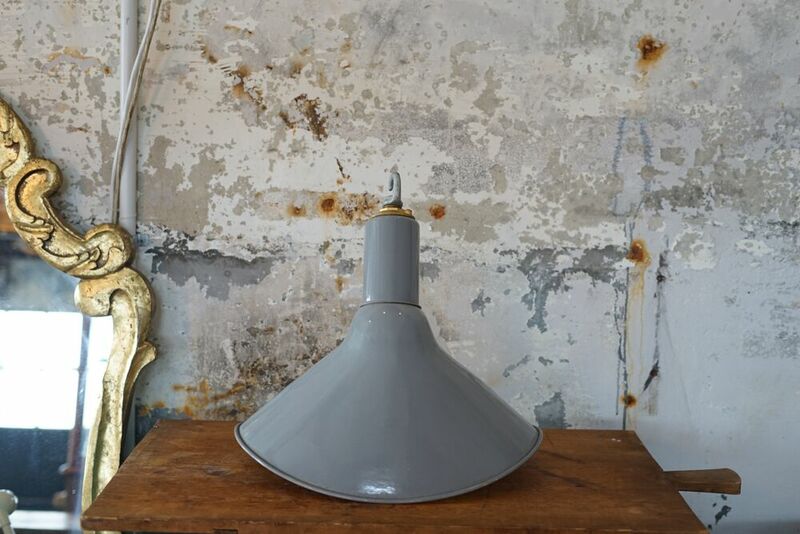 1950’s Eastern Bloc prismatic wall lights with an angled mounting. 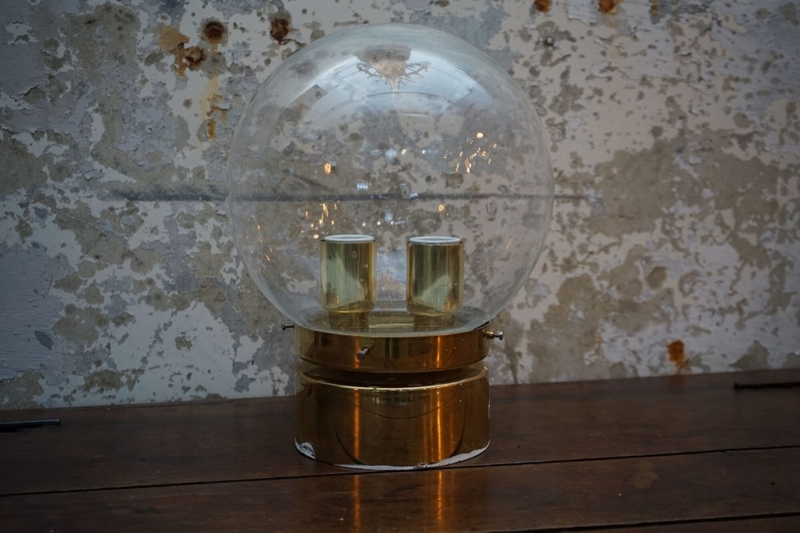 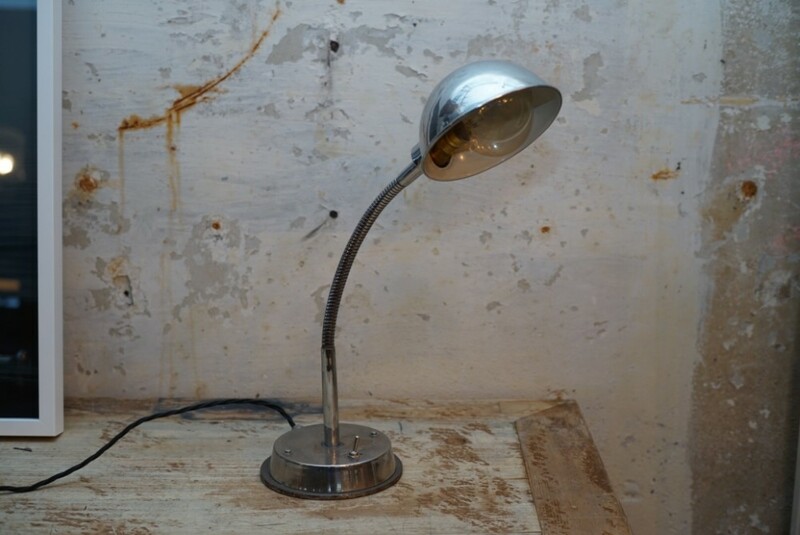 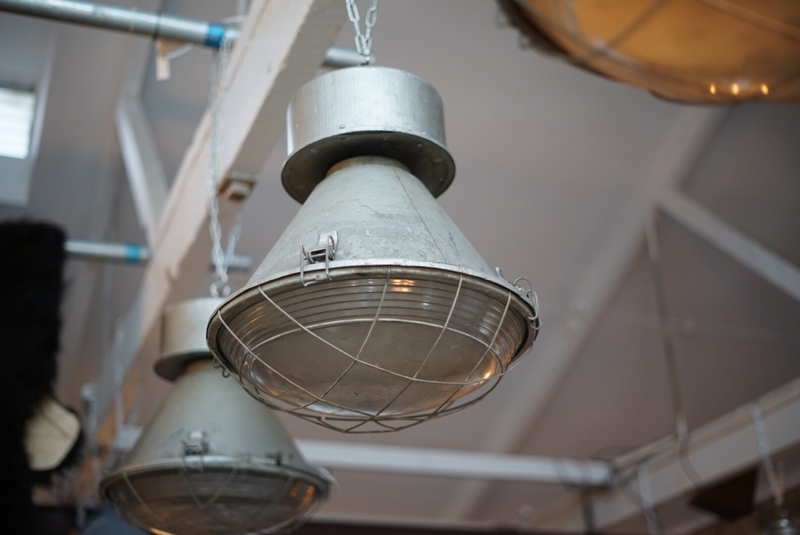 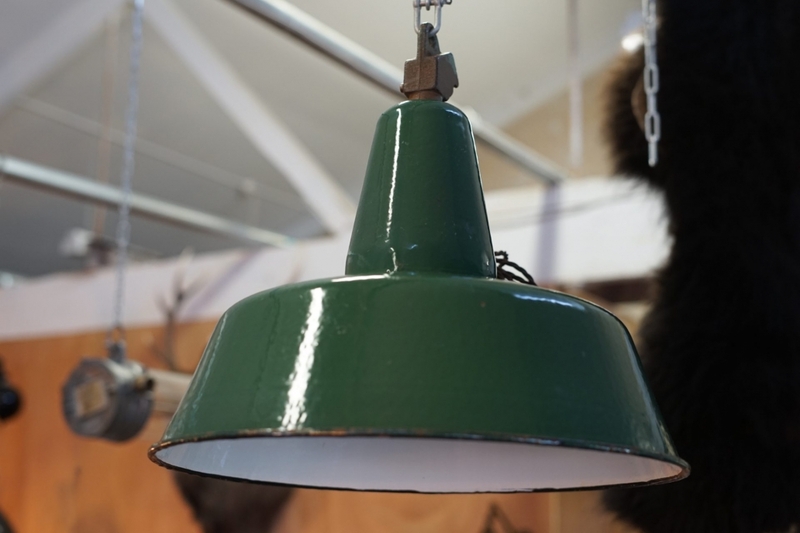 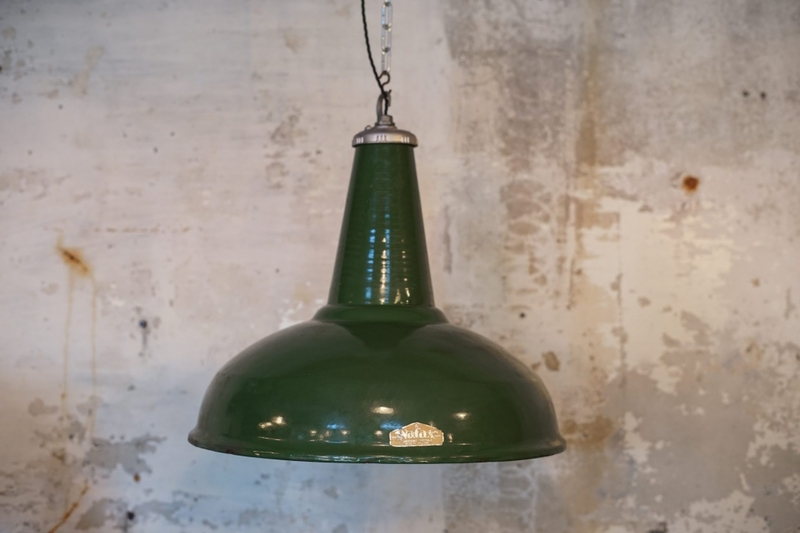 Our Vintage Lighting have been restored and refitted to comply with New Zealand standards.